To kick off my debut into publishing, I’m hosting the Out Of This World Blog Tour. 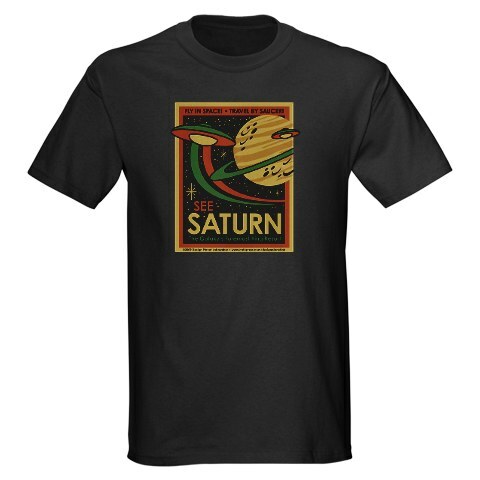 Follow the link from one of the blogs below to enter to win a free copy of THE SPIRAL PATH and this Retro Saturn T-shirt for one lucky reader. Everyone who enters will receive a door prize: THE SPIRAL PATH electronic trading cards depicting the four main characters in THE SPIRAL PATH. I will draw and announce the winner on Sunday, April 3. Click here to enter. That is a COOL t-shirt! I’m definitely ordering one for myself too. When I saw it, I knew it would be the perfect giveaway. I like that part of the story action takes place on a space station orbiting Saturn called Cassini Station.